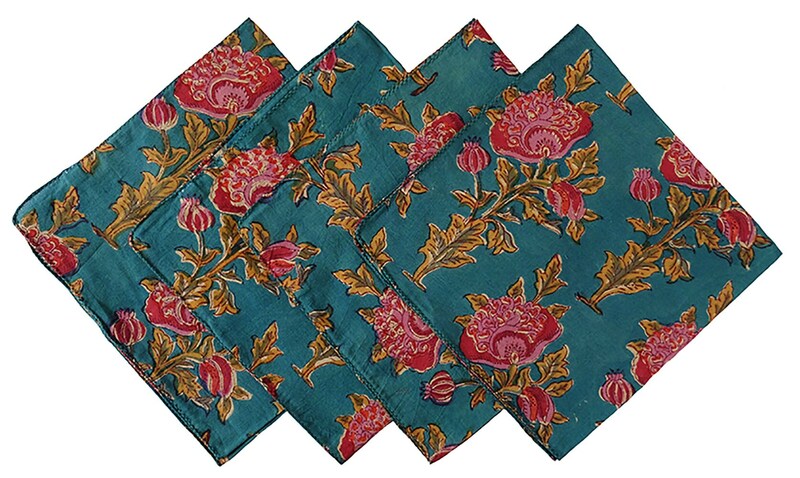 Dress up the dinner table for any occasion with these excellent block printed napkins. Napkins are made of 100% washable cotton. Napkins measure: 17.5sq.